Today, 2 April 2014, there are many people around the world trying to raise awareness for autism, with this date each year marking World Autism Awareness Day. There are many differing ways of raising awareness of a cultural phenomenon; some do so in a way that is not so useful for autistic people. This is perhaps why today many autistic activists will be celebrating ‘acceptance’ of autistic people instead.What I would like to draw the World’s attention to today however, are the campaigns of #JusticeforLB and #107days. On 19 March 2013 Connor Sparrowhawk (aka LB) was admitted to Slade House, an NHS assessment and treatment unit. 107 days later he died, having had a seizure whilst left unsupervised in a bath. Around the world today, autistic people and especially those who are less verbal or are deemed ‘learning disabled’ are dehumanised, incarcerated, restrained, bullied, therapised, normalised, neglected, and I could carry on and on, with such a list. What leads to this abuse of those divergent from the normative ideal? What leads to ‘death by indifference’? How is one meant to find Justice for LB and all the young (and older) ‘dudes’ (of whatever gender orientation)? This is something I (and many others) would like the world to think about today, the 14th day of the #107days campaign. I was diagnosed as being on the autism spectrum in 2009 soon after being made redundant from a post in a Further Education College as a Sociology Lecturer. This had been the first full-time professional job I had ever managed to attain, through quite some effort after my son had been born. In 2005 my son was diagnosed as autistic with severe learning disabilities. I had myself avoided the psychiatric profession for many years prior to that, but that is another story. By 2010 however, I was completing another one of my University qualifications (I have quite a collection now), and was settling into a part-time PhD in the education of autistic people. I went to an autism related conference for the first time and met other autistic activists that I’d only previously read about. Yet I was still unemployed, living in a downtrodden neighbourhood, and had been struggling for many years to get my voice heard about matters relating to the plight of autistic people. Often I felt manipulated or tokenised, with my attempts at being heard failing to get very far. One day I was contacted by a researcher from the University of Oxford by the name of Sara Ryan. She was filming interviews with autistic people and their families for healthtalkonline. She answered all my queries, was prepared to travel to me, and treated me with a great deal of respect. When I met her, we both talked lovingly about our respective sons. Sara’s own descriptions of her ‘laughing boy’ (LB) did not seem all that different from the way I talked (and still do) about my son, an expert giggler if ever there was one. I felt truly listened to, that my voice was being heard and recorded with others, that people may learn something from my efforts. I was grateful for the opportunity. Since then, I have gone on to present about autism over 70 times at various events and conferences, have had a number of articles published, and have a paid job as a consultant for the National Autistic Society’s ‘Ask autism’ project. In order for autistic people to be confident to do such things, we need our allies. I felt that Sara was one of my first in the field. As an academic, I have never been a fan of the theories, ideologies, and applications of Functionalism (or for that matter Behaviourism). Words such as: Function, Behaviour, Appropriate, Normal, Independent, Role, Responsibility, Etiquette, Outcome – have all been used to ‘beat me with’ at some point or another, and have only increased my social alienation. They are not about autism ‘acceptance’, and do not raise ‘awareness’ of anything but ill-fated attempts to ‘manage’ us. League tables, tick sheets, reward charts, cartoon strips outlining preferred behaviour etcetera, have done little to help me in life. Yet, it is functional credentials which are often valued in the world of ‘style over substance’, where the image of an organisation or their CEO counts for more than basic needs being met. I like to subvert this game by collecting credentials myself, currently: MA, PG(Cert), BA(Hons), Dip(conv), PGCE, Mifl, MBPsS. Still, perhaps it is because I am autistic that I have never earned above average UK National earnings in any year of my life thus far. Often such credentials are used as a smokescreen for poor practice. I really do not care that the CEO of Southern Health (the authority that Slade House came under) has won an award in the past, their actions leading up to and after the death of LB will not be winning any awards from those who have witnessed them. Perhaps it is actions (and not behaviours) that speak louder than words? Those who are aware of my work regarding the dangers of following behaviourist practices may be surprised to find that some who support Functionalist/ Behaviourist ideology are also supporting the #JusticeforLB and #107days campaigns. One perhaps would not normally find autistic activists working to raise awareness of the same campaigns as a ‘Challenging Behaviour Foundation’. This possibly just goes to show the scale of the disservice that Connor (LB), Sara, and their family have endured? Yet it could also show that intent is more important than the words people use? I have spent many years promoting theories and words that to me sounded more accepting and useful: person-centred, empowerment, and autonomy; only to see such words contorted and abused in practice, reduced to jargon that when applied means the complete opposite of their original intent. There are many tensions and debates within the field of autism and elsewhere, and for good reason, although it does not take a scientist to figure out how to address the basic needs that were not met in this debacle and how that led to Connor’s death. Connor (LB) was also for the first time in his life, subjected to dangerous restraint practices whilst in the ‘care’ of Slade House. These practices must end, and all support for organisations which promote such practices. That means not ‘lighting it up blue’ this World Autism Awareness Day, but doing anything but that (see #boycottautismspeaks for more details). If you want to raise awareness for something, make the death of Connor Sparrowhawk a ‘Rosa Parks’ moment, for the rights of disabled people. Let us bring an end to such practices and ‘death by indifference’ too. Given what I think of myself and the people I have met, I have no qualms in calling myself ‘autistic’. I have always preferred ‘being me’, although I have often wished that others had a more accepting attitude. Where I have found acceptance, love and passion, it has inspired me. Yet words can also be used to constrain, contain, control, and condescend. Frequently words are used to place us into cages, boxes, categories, in a kind of short-hand way of thinking. Here, the intent is very much to generalise, to not bother to go in to any depth of understanding, to be ‘lazy’. Being within a category often ‘othered’ in such ways, one can grow very tired. When younger, it often made me angry – and when such ways of thinking lead to death by indifference, my anger returns. Phaedrus: But I have been told my dear Socrates, that what a budding orator needs to know is not what is really right, but what is likely to seem right in the eyes of the mass of people who are going to pass judgement: not what is really good or fine but what will seem so; and that it is this rather than truth that produces conviction. (Plato, The Phaedrus, translated 1973, p. 71). An even older concept from my old friend Erving Goffman is that of ‘face games’ – these are the words used in interaction and communication done purely for ‘keeping up appearances’ or ‘reputation management’. This is not something that autistic people of all varieties are particularly famed for (despite some of us doing remarkably well at it considering how tricky and painful it can be for us). For some others I have met in life, such games seem like a natural ‘way of being’. In my experience such traits can be found in managers, and often the higher up in the organisation, the more capable ‘face gamers’ one finds. I guess this makes sense if one’s business is sales, image, public relations, and so on. But surely if one promotes style over substance, may one be left with a management structure built of smoke and mirrors, or a house of cards that will simply collapse with the slightest breeze? It is often said that a poor ability at deception is a deficit in autistic people, yet one could say that like many other things in the field, this may be a matter of salience, positionality and perception. If one wants to know why so few autistic people are in full-time employment – perhaps we need to look at how one gains, presents and demonstrates one’s ‘functional credentials’? Why is it that the ‘positive about disability’ 2-tick system just does not seem to work for the neurologically divergent? As a young boy I was not as articulate and verbose as I am now, indeed I did not write more than a paragraph of continuous prose until I was 17 years-old. Instead, I tended to write in lists and numbers, diagrams and patterns. In 1984, I still somehow managed to acquire an assisted place to a private school, mainly through my Maths and Verbal Reasoning skills, which may have hidden how I was bottom of the class at spelling, useless at grammar, and had various other issues with ‘learning’ in the usually prescribed ways. One term in, I along with my family were involved in a multi-car road traffic accident. My mother acquired a number of permanent physical disabilities, and I severe psychological trauma. Every psychiatrist who saw me in the years ahead had their own pet theory when they observed my ‘behaviour’. In the school I attended, there was no pastoral care of the individual or, any consideration of me personally. Indeed, it was virtually a total institution and it valued image and style over the quality of the life of its ‘pupils’. “It does not appear that he is very bright and therefore lack of effort compounds the problem” (my ‘Form Master’, 1987). There is a sociological pattern here, whether it my old school or Slade House, whether someone is deemed ‘high-functioning’ or ‘learning disabled’. When the image of the institution is lauded, and the well-being and quality of life of those living within it are turned into numbers on a tick sheet to be managed, lives are ruined and in many cases put at risk of serious harm and in all too many cases death. So what are the intentions of Southern Health? Epilepsy ‘benchmarking’, ‘advanced training’ in ?? ?, deepest apologies (whilst asking to meet with ‘the family’)… I am not sure what JusticeforLB will look like, but this is not it. As an autistic person, here is my message to Southern Health: look into your restraint practices and how to change them for a start. Have autistic adults train your staff about autism – you can start now. Have a collaborative culture with parents, family and friends, and do not block them out (as this would be an action one might expect from an abusive relationship). The last thing an organisation should do in these circumstances is defend their record and try and sweep problems even further ‘under the carpet’, but from the outset, this seems to have been the intention of Southern Health. If there is to be a paradigm shift in the practices of Southern Health and elsewhere, maybe they need to be educated, trained, and inspected by those who have the real passion for autistic people, those with learning disabilities, and their families – i.e. autistic people, and parents such as Sara Ryan and Mark Neary? Today, on World Autism Awareness Day, join with me in raising awareness for #JusticeforLB and #107days. Join with me in accepting autistic people as ‘we’ are, and work together with us to build a better quality of life for us all. This entry was tagged 107days, autism, autistic, damian milton, justiceforLB, waad, waad14, world autism awareness day. Bookmark the permalink. What is your real goal? 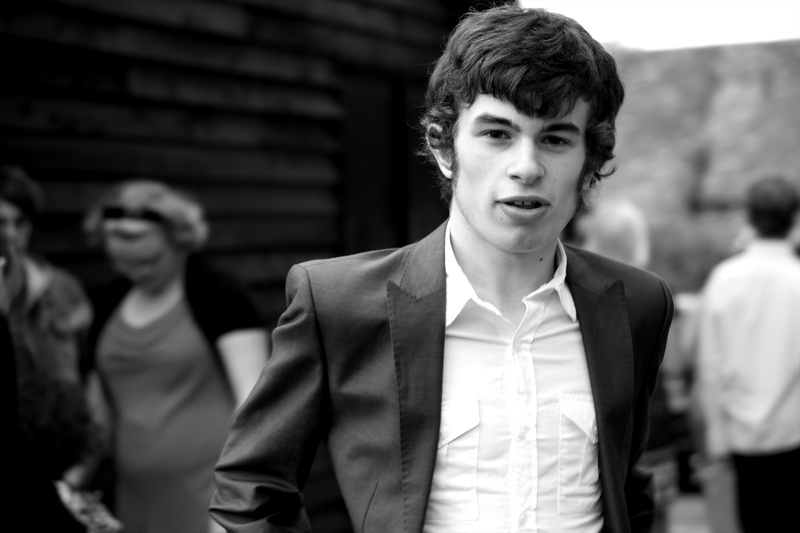 Hi there, not sure whether this question was aimed at Damian or #107days; our real goal is Justice for LB and you can see what that looks like here https://107daysofaction.wordpress.com/what-does-justiceforlb-look-like/ Thanks for joining the #107days discussion. This is a fabulous article, there is so much in it that is strong, positive, angry and determined. It shines a very powerful light on one experience of autism, and the difficulties which the world puts in the way of those who live with it. Thank you. I’ve often wondered if all care homes and residential facilities should have a “Friends of This House” group consisting of caring and involved local people, relatives, a rep from the local parish council etc. People who visit patients and staff, share ideas with each other, make a difference. The care of our vulnerable people is too important to be left to market forces and/or people we never meet.